The 64 meter long, 1600 dwt coastal bulk carrier E Tuan Feng Huo 226 sank on the Yangtze River while berthed at Wuhan, China. 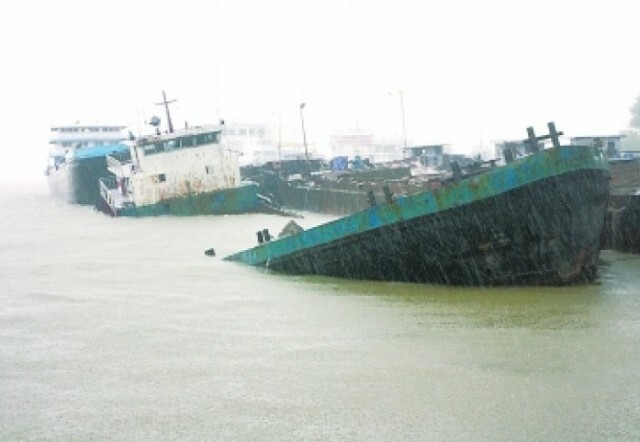 The E Tuan Feng Huo 226 was loading cargo at the terminal when the vessel suffered a hull breach and suffered massive water ingress. The three crew on board were able to escape and later rescued. Reports state the bulker may have partially broke-in-two as the hull cracked. Ferry service from Wuhan was halted as the E Tuan Feng Huo 226 was blocking navigation at the terminal.